When I was five, my kindergarten class made cinnamon dough ornaments and my mother still has them! And they still smell like cinnamon after 25 years! Every year, when we get out the Christmas ornaments at my parents’ house the smell of these ornaments transports me rapidly through the memories of the Christmases of my childhood. 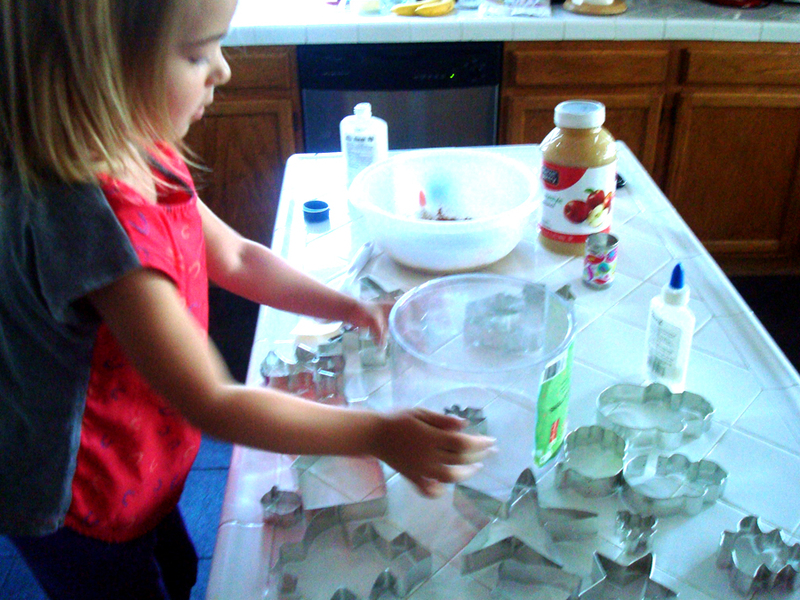 I wanted to have some for my house too, so Gemma and I got to working on them the other day. 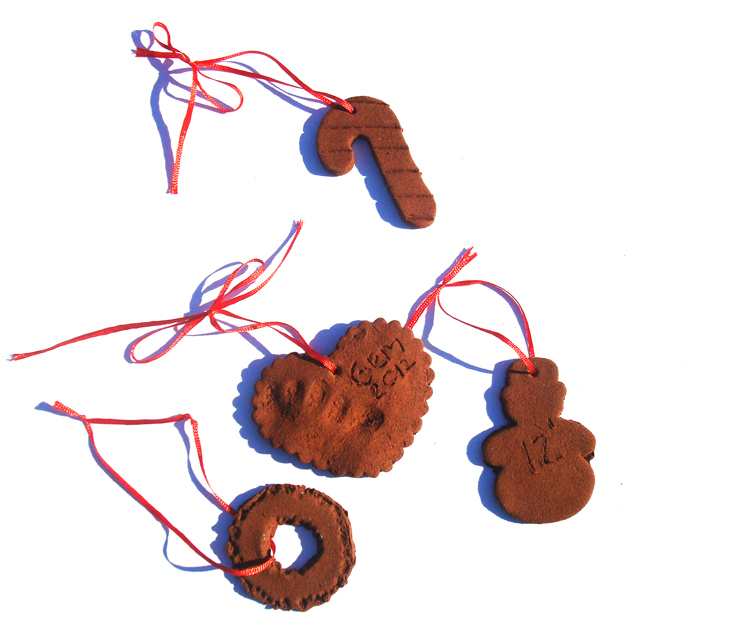 This is a pretty easy project and the ornaments also make great gifts. Here’s the recipe! In a medium bowl, mix together 1 cup ground cinnamon and 1/4 cup applesauce using a rubber spatula. Stir in 1/2 cup craft glue. Stir the dough until consistency is smooth and dry. Let stand 1 hour. Flatten with a rolling pin to 1/4 inch thick. If dough becomes too dry, spritz with water. 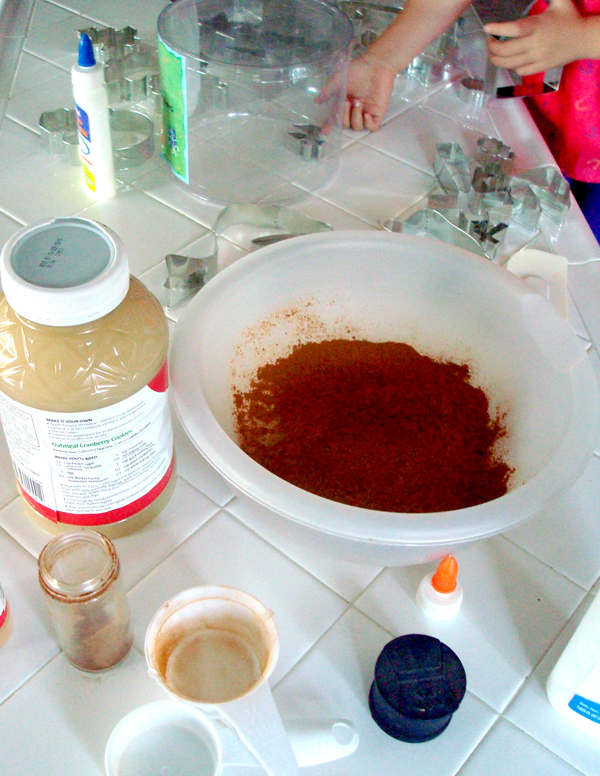 If it sticks to rolling pin or work surface, sprinkle with additional cinnamon. 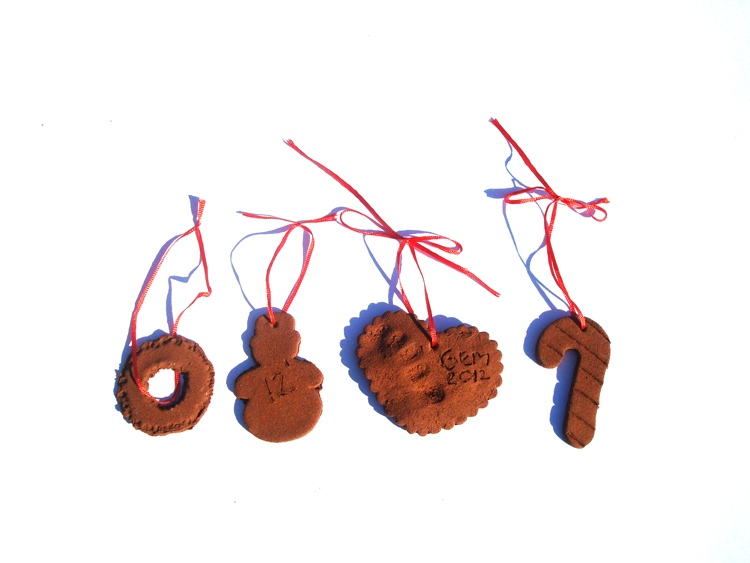 Cut out shapes with cookie cutters and add dates or names. With a straw, poke a hole in dough (for hanging). Air-dry ornaments on a baking sheet lined with parchment paper for 24 hours, turning them over every 6 hours or so to keep them flat. When dry add a ribbon and they are ready to use!